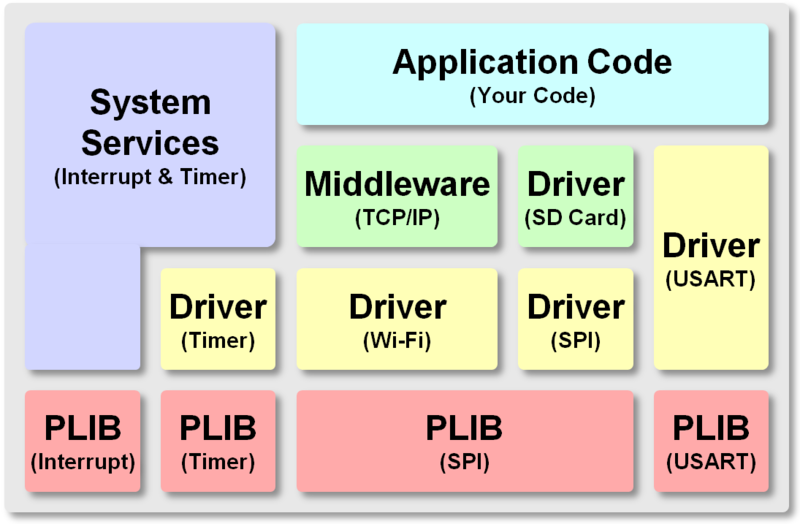 Drivers are used directly by your application code, middleware (TCP/IP, USB, ect…), system services, and other drivers (SD Card Driver to SPI Driver). Driver State machine can be invoked by the system task service (polling system) or the driver state machine can be invoked from an interrupt service routine. If you would like to see an example of how a Device Driver is used to control a specific peripheral, please click on the following link.